Warren Buffet’s words are true for the stock market in general and since the primary market is also a part of it, this maxim is apt for IPOs too. However, there are so many other pitfalls in IPO investing that investors, especially new ones, find themselves at the receiving end. 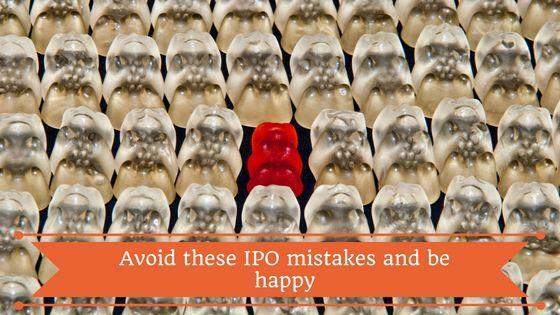 Knowingly or unknowingly, investors fall prey to these common IPO mistakes which can be avoided easily. Grey market may be a valuable tool to gauge interest levels and potential listing prices but let us not forget that it is eventually an informal mechanism. It works effectively when markets are stable but has tendency to become unpredictable and unreliable when secondary markets witness increased volatility. Like other things unstable, grey market is open to manipulation and has let down the investors in the past. Dealers and brokers buying applications have failed to honor their commitment on a number of occasions. Basing your investment decision solely on grey market premium (GMP) is not a wise strategy and yet, the number of people checking grey market rates every day is mind boggling. This makes it the top entry in the list of most common IPO mistakes. Just because everyone among your friends is gung-ho about this new IPO should not be a reason for you to follow suit, especially if the company operates in a market or segment you don’t understand. In bull markets, almost all IPOs are oversubscribed but not all offers give positive returns. In 2017, as many as five insurance IPOs were launched in the primary markets but it was only HDFC Standard Life which offered decent returns. At times, opening up of a sector may lead to a number of IPOs as it happened in 90’s when the government opened up the aviation sector and a number of new airlines launched their IPOs. 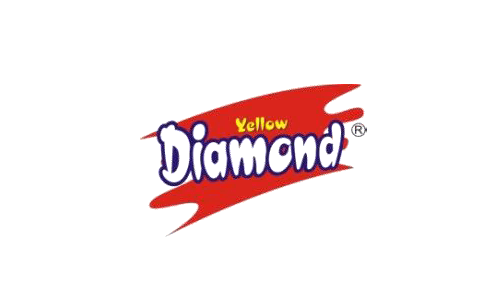 These names included NEPC, Damania Airways, ModiLuft. All of them vanished without a trace within a few years! It surely is a difficult task to dive deep and weed out unsound business models and companies but there are ways to circumvent this limitation. This is where our research and analysis section comes handy by offering independent and unbiased research and analyst reports. Another entry in our list of common IPO mistakes. Many times, investors don’t realize that what they are playing isn’t a theme but just a fad (remember power and infrastructure in 2009?). Similarly, markets sometimes go euphoric and prompt investors to lose their senses. Any investment made at this time is likely to turn into a disaster as most likely, valuations and projections are sky high. In his book, TrendWatching: Don’t Be Fooled by the Next Investment Fad, Mania, or Bubble, former CNBC commentator Ron Insana advocates that history repeats itself and fads and bubbles play an important part in this cycle. As a result, investors can save themselves by spotting these signs and exiting before the bubble bursts. We can’t agree more and have been warning investors about lofty valuations in IPOs. There is great reason to trust Insana’s advise – he dabbled into capital management couple of times and failed spectacularly! If one is smart, he/she can cancel out the noise from less informed sources as mentioned above. However, another trap exists in the form of subscription data and investors can be often seen putting a greater attention to subscription data than the fundamentals of the company in question. In other words, it is an extension of the behavior seen above. Let’s not forget, subscription is prone to manipulation and is often a manifestation of investors’ herd mentality. Remember, Reliance Power IPO – one of the biggest IPOs in India – was fully-subscribed within minutes of launch and still holds the record of earning maximum subscription amount. Everyone knows how that unfolded for investors. Similarly, caution is warranted in the case of interest from high networth individual (HNI) investors. HNIs are key players in grey market and often go for leveraged IPO applications. What this means is that there is added interest cost for HNIs for every additional day they hold the shares. As a result, they tend to sell on the listing day and the selling pressure increases in the event of poor listing. Retail investors unknowingly make themselves vulnerable to listing day volatility by tracking and paying too much attention to HNI subscription. Every investor who has spent five years in the markets in a productive way tends to develop an investment philosophy, knowingly or unknowingly. This means that one develops a certain understanding and level of comfort with some industries. While this learning maybe very loose and intangible, it defines one’s area of comfort and to an extent, competence as well and often helps in avoiding IPO mistakes. Venturing out of this zone could be problematic for investors if the markets decide to take a dip. A towering example is Warren Buffett who stayed away from technology stocks and IPOs in 90’s as he didn’t see a moat – a long term competitive advantage – in technology companies. Even the Oracle admits he doesn’t understand every business model. Another important barometer is an individual’s staying capacity and this needs to be seen in conjunction with the above point regarding comfort zone. This is very much a behavioral aspect of the investing process and it is not uncommon to see even well-informed investors selling at lower rates as a result of panic selling. Buffett’s lead is again very helpful here and he advocates investing into businesses which are going to be around in prosperous conditions even if the stock market shuts down for 10 years. This is not just one of the several IPO mistakes but a much bigger issue of wrong asset allocation. Investors often overestimate their staying capacity in the market or specific stocks as they go overboard by investing all the surplus funds in stock markets. When markets go down, investors fail to take advantage of lower prices as there is no surplus cash left with them and also struggle to keep up with other commitments. More often than not, equity investments are the first ones to be liquidated when requirement of funds arises. SEBI has changed the way IPO allotment is done and now, all the retail applications (smaller than INR200,000) are treated equally, irrespective of their size. As long as the retail portion is getting oversubscribed, the chances of getting allotment are equal at both ends of the spectrum. By making big applications, investors essentially block a larger amount while the probability of allotment remains same. In fact, this is one of the most common IPO mistakes investors continue to make. As one can see, avoiding these IPO mistakes is not really difficult. Our readers get a dose of this advice quite regularly through our analysis of upcoming IPOs. Nevertheless, please let us know if you find something worth adding to this list by commenting below.